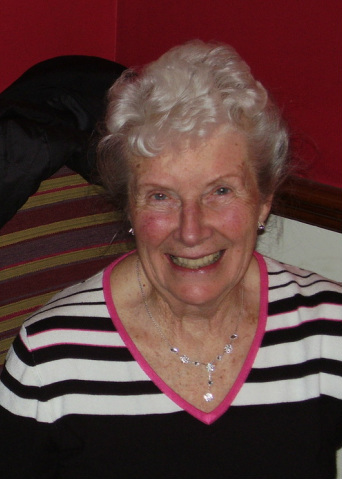 Beryl, from Cornwall has wide experience of dancing, music and teaching in various clubs and schools. She has plenty of patience and good humour, believing that first and foremost dancing is to be enjoyed. "I was first asked to teach country dancing at Landscove, Devon in the 'Fifties’ after a training course led by Margaret Grant (the S W Area Organiser of the EFDSS). Later I moved to Headington, Oxford where I was asked by Douglas Kennedy to be an Area Representative for the EFDSS in Berkshire. This broadened my experience considerably including dancing for people with sight and hearing problems. After moving home to Cornwall, we started a dance group in Newquay. I was invited to call for a new band - Thunder and Lightning (well remembered for the monthly dance at Porthtowan) and to teach at a new club known as the Kenwyn club. I was then invited to go to Tregony to initiate a dance group there. This flourished for 8 years. My next involvement was a club at Withiel in the newly built Village Hall. (Regretfully this finished after 17 years) I now call at Carbis Bay, Fraddon, a U3A group at Redruth and in turn at Playing Place, Truro. I am very interested in traditional dance music and play my accordion at every opportunity. Dancing has taken me to many places abroad - Germany, Holland, Shetland and America and I am lucky to have met so many lovely people."